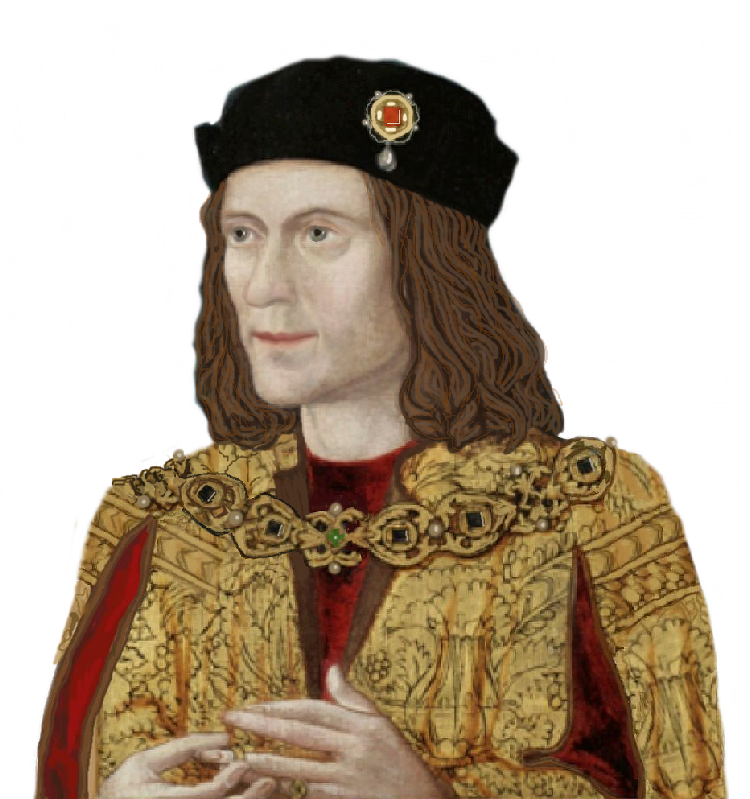 You will have seen him if you have been to Richard III’s final resting place. 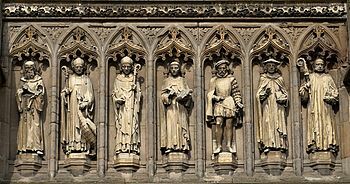 There are eight small statues on the main entrance (the Vaughan Porch, left) of St. Martin’s Cathedral but only one of them is wearing a doublet and hose, showing him to have lived a century later than the others. This is Lord Henry Hastings, as he was during his education alongside Edward VI and participation, with Northumberland’s daughter Lady Catherine Dudley in the triple marriage of May 1553. He was still Lord Henry as he served in the household of his great-uncle Reginald Cardinal Pole, travelling to Calais and Flanders and escorting Phillip II to England for his marriage to Mary I, whose succession had been aided by Lord Henry’s father, Francis, despite the family’s overt Protestant beliefs . In 1562, two years after succeeding to the Earldom of Huntingdon, he was considered by some for the throne had Elizabeth I not recovered from a bout of smallpox. By 1576, on the death of his mother Catherine (nee’ Pole) he was the senior post-Plantagenet, barred from the succession maternally only by the Clarence attainder but he had a junior claim through his grandmother Anne Stafford, w hose father and brother both had their attainders posthumously reversed. From 1572 to his death in 1595, Huntingdon was Lord President of the Council of the North, a position previously held by Richard as Duke of Gloucester and then by the Earl of Lincoln, in which he ruled the part of England north of the Trent from the King’s Manor (above), formerly home to the Abbot of York. During this tenure, he re-established royal authority in the region after the Northern Earls’ Rebellion failed, attended Mary Stuart’s trial, ensured good relations with James VI and his regents, the Earl of Morton in particular, also helping to prepare defences against the Armada. For his long service for more than half the reign of the last “Tudor”, Huntingdon deserves to be remembered alongside Lord Burleigh and his brother-in-law the Earl of Leicester, although his Calvinist beliefs set him apart from them and their Queen. During his time, in 1586, the recusant Margaret Clitherow was pressed to death at York. As Claire Cross points out in her iconic biography The Puritan Earl, Huntingdon took his role as head of the family seriously. We can read how his assets shrank during his lifetime and how his 42 year marriage was childless, such that his brother Sir George succeeded him as Earl, with senior descendants still alive in Australia, as Jones has shown. 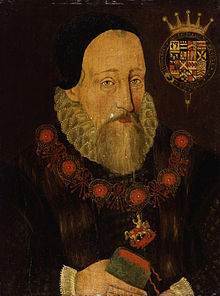 He died eleven days before Christmas 1595 and was connected to all four later “Tudor” monarchs but his strongest connection was to Elizabeth I. Just like her, he had been imprisoned at the outset of Mary I’s reign, probably because he was Northumberland’s son-in-law, although his father’s loyalty soon extricated him from this.